Here at ChiIL Live Shows we dig DEVO. We grew up with their music and they were still fanstastic when we saw them tour with Blondie on the Whip It To Shreds Tour. This new DVD/digital release is a must have for any serious music collector. Why? It's in demand: The original VHS it's based on goes for hundreds of dollars! It's subversive: Originally shelved by Time Life due to concerns about its anti-music industry content. 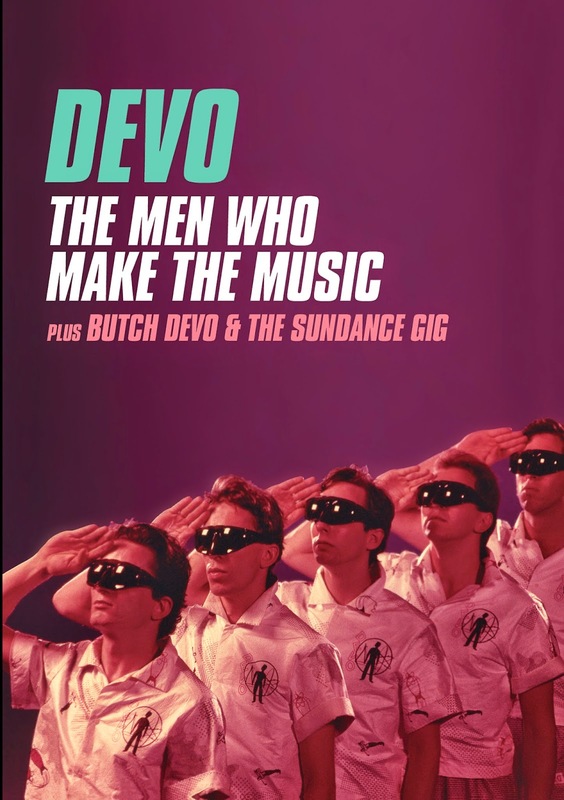 The Men Who Make the Music combines concert footage from DEVO's 1978 tour with music videos and interstitials featuring a vague story about DEVO's rocky relationship with "Big Entertainment." As for the bonus program, Butch Devo and the Sundance Gig, Jerry Casale says, "In January of '96, we closed Sundance Film Festival. We wore 20s style prison suits and dished out classic DEVO songs to an unsuspecting audience of Hollywood elite."